Souvenirs have always been a core part of the travel experience. People have always collected items from their travels to connect with their memory of the experience. From ancient voyagers to the expeditions of Lewis & Clark, souvenirs have been a way to communicate the experience to those who couldn’t tag along. When travel became more affordable and more global migration began, souvenirs also boomed. 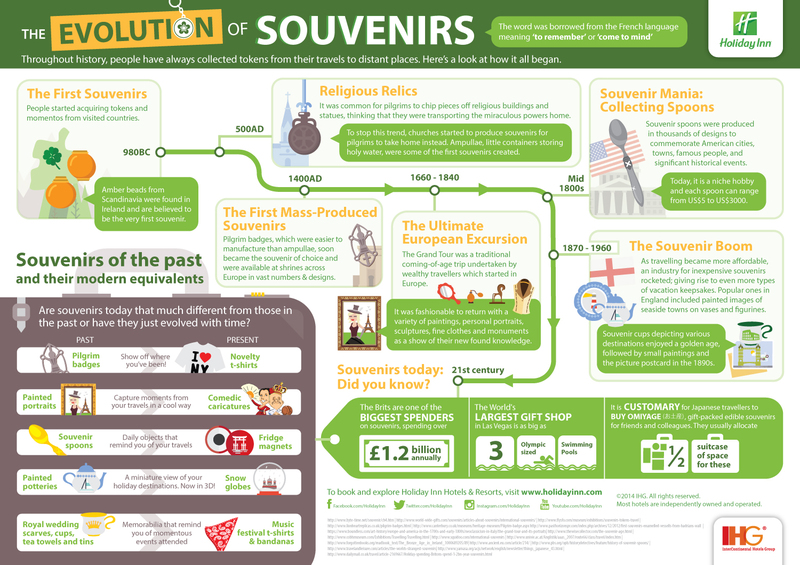 See the below infographic from Holiday Inn for more on the history of souvenirs.